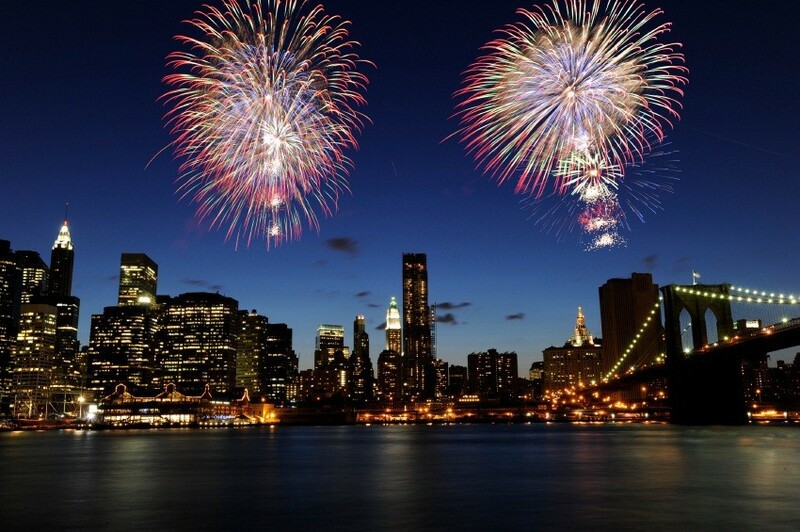 There’s something magical about New Year’s Eve in New York City. Each year, millions watch the Times Square celebrations on television–or in person. Parties everywhere have the TV on and everyone quiets, joins the countdown just before the ball drops to ring in the new year followed by fireworks that explode colorfully in the sky above. But Times Square isn’t the only place to see fireworks on New Year’s Eve. You can also see them in Central Park and Prospect Park, but the most spectacular display is in the New York Harbor near the Statue of Liberty. The entire Manhattan skyline glows with fireworks but on the water there’s also a display right next to the Statue of Liberty. There’s no better way to witness all this than on a boat on the NY Harbor. While there are public cruises offering tickets to parties ranging from $200 – $500pp, you’re spending New Year’s with a large crowd of people you don’t know. For a magical experience, you’d want to organize your own Private Yacht Charter to see the fireworks with your friends and family. It’s an opportunity to greet the New Year in a fabulous, stylish and truly memorable manner. 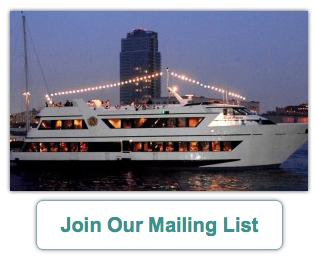 The yacht would be reserved exclusive for your party, therefore many of you can chip in on the cost! Just imagine: a party with your closest friends and relatives on the stylish yacht Royal Princess, sailing the New York Harbor with all the views of the Manhattan skyline and bridges, then getting close to Lady Liberty and toasting the New Year while enjoying a front row view to some of the most spectacular fireworks in the world! There’s truly no more spectacular way to greet the New Year. 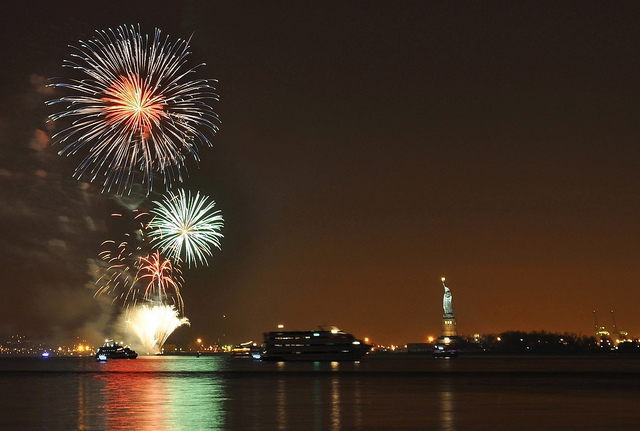 Get in touch with us today to reserve Royal Princess for your New Year’s Eve cruise on the New York Harbor.